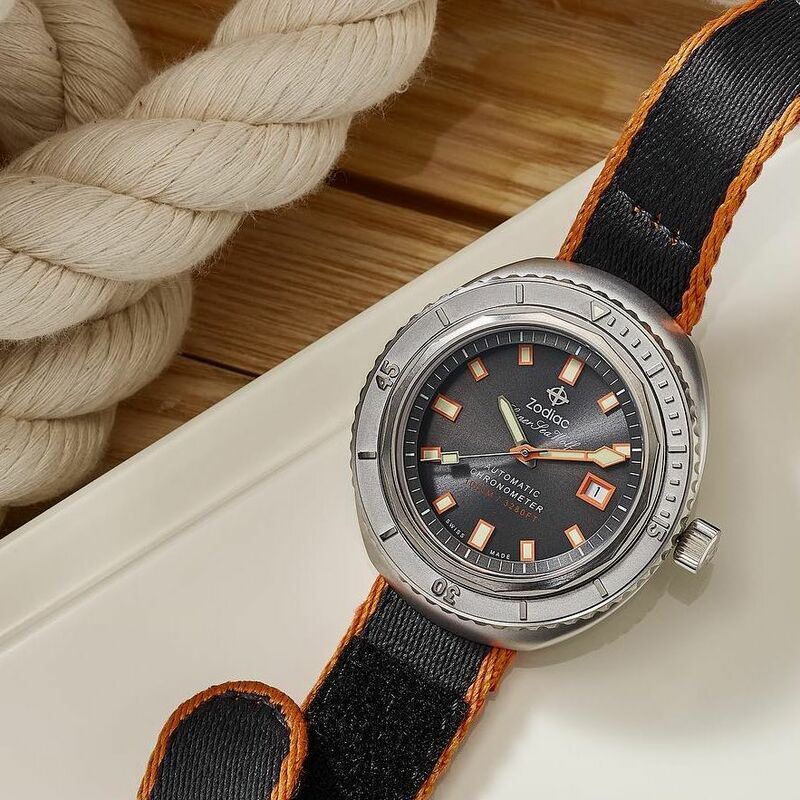 TimeZone : Dive Watches » N E W M o d e l - Zodiac Super Sea Wolf 68 L.E. 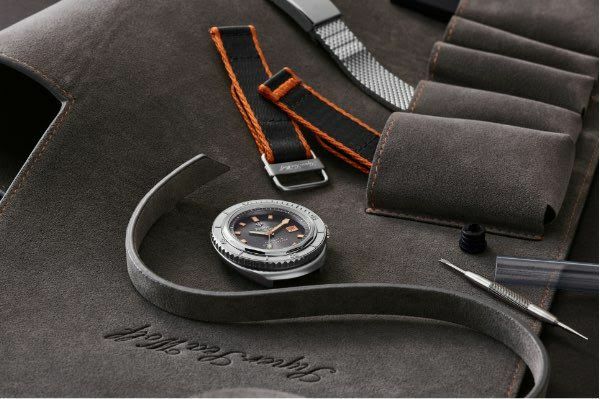 This limited edition marks the 50th anniversary of the original Super Sea Wolf, a landmark watch for Zodiac. 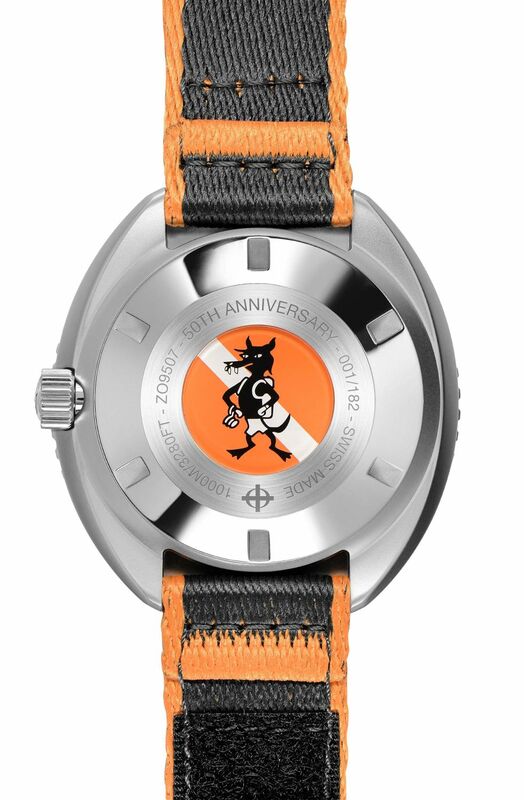 The caseback displays the Sea wolf character that was once used on advertising material during the original launch in 1968. The case, in stainless steel, measures 44mm x 13mm (49mm lug to lug). 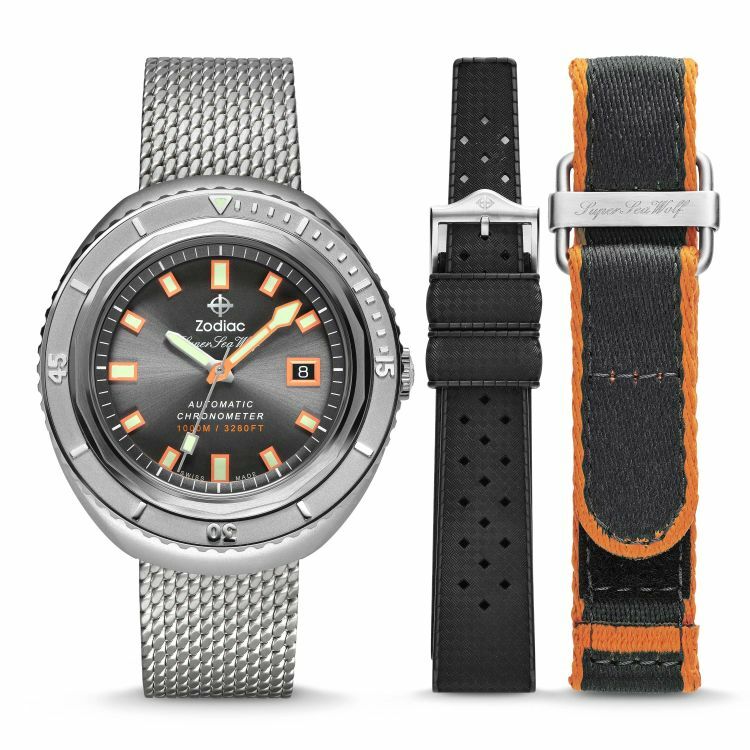 It has a sapphire crystal and it is water resistant to 1,000 meters. Patented locking topring. 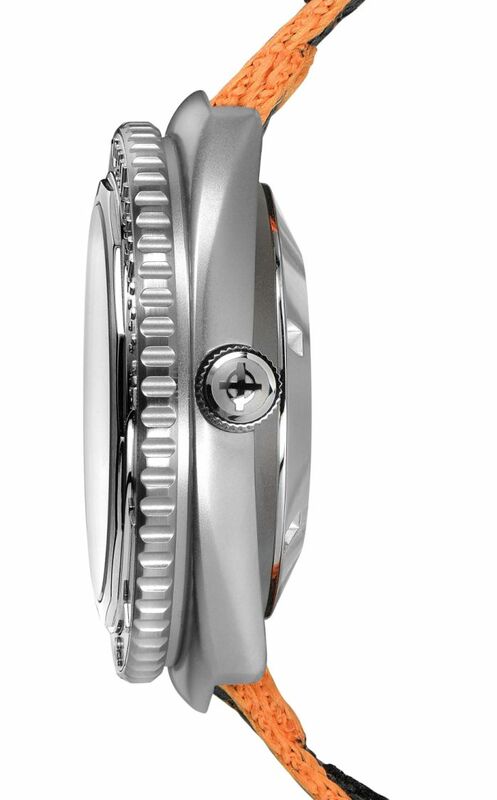 Movement is the Swiss automatic STP caliber 3-13 with 25 jewels, 28,800 vph and a power reserve of 40 hours. It is COSC-certified as a chronometer. 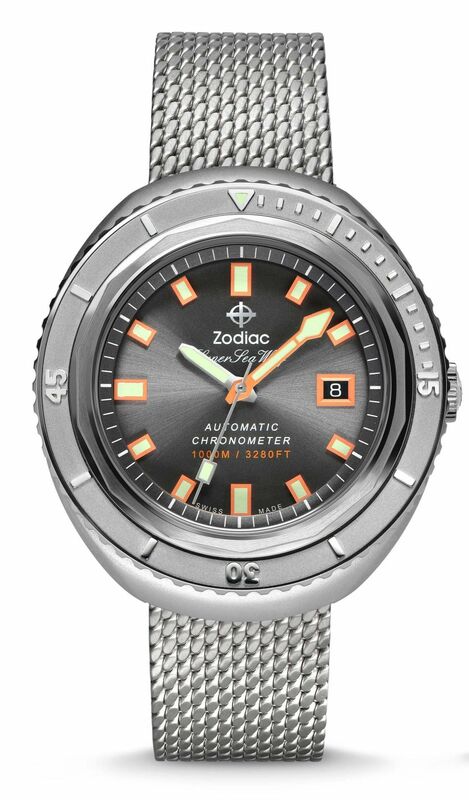 The grey dial has luminous hands and markers, with orange outlines. 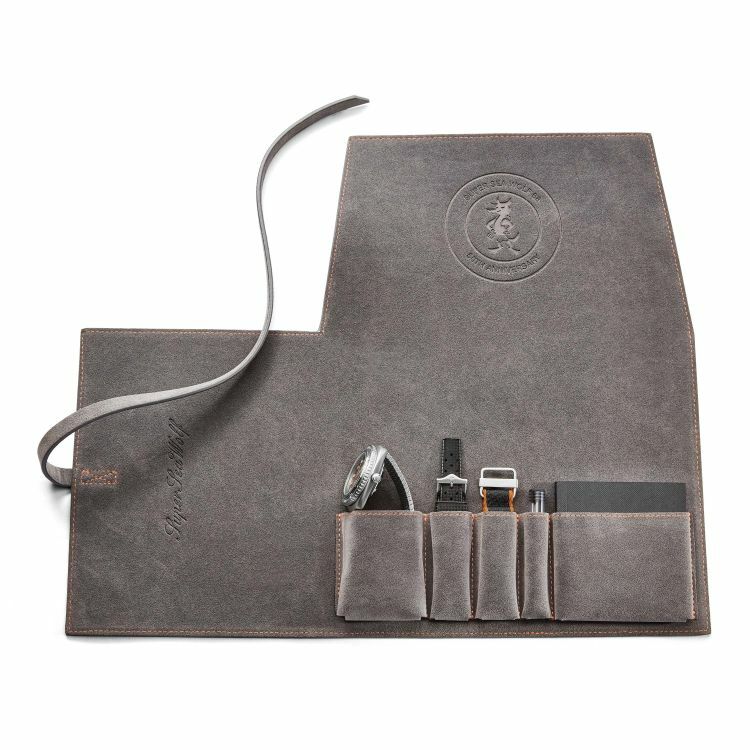 It comes in a leather roll with a 20mm textile strap, "tropic" style rubber strap, an adjustable mesh band and a strap-changing tool.